Dillon table lamp in transparent green glass complete with shade. This is one of the modern funky colours in the Dillon range of table lights. 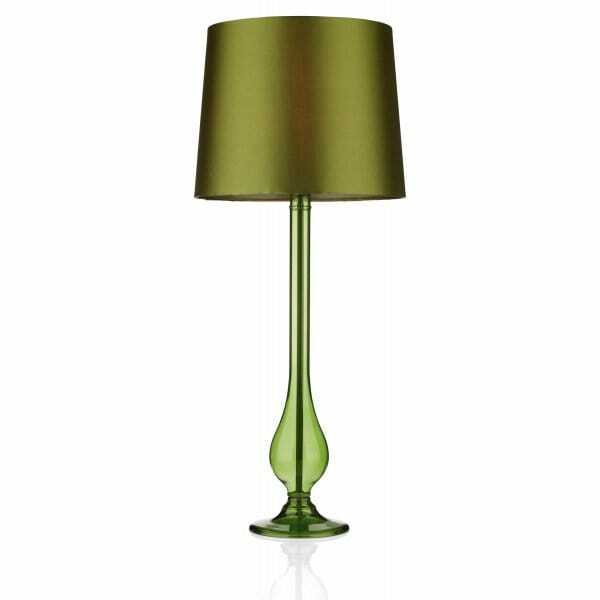 It is a slightly taller than average table lamp that sits on a circular sage green glass base and has an elongated pear shaped stem. The fitting is double insulated and the light is supplied with the sage green shade illustrated. Can accommodate either a standard or a low energy bulb which will be hidden inside the shade.